CLMC attorneys are expert in the areas of estate planning and estate and trust administration, and regularly counsel clients with respect to both the tax ramifications and the broader personal and familial ramifications of their estate planning, such as planning for the future with minor children, elderly parents, or disabled dependents in mind, choosing the best fiduciaries and handling marital deduction, credit shelter planning and generation skipping issues. 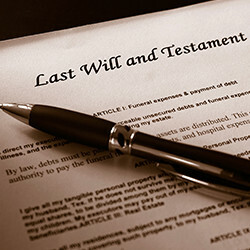 CLMC attorneys prepare wills, health care proxies, living wills, powers of attorney, and all variations of revocable and irrevocable trusts, such as insurance trusts, lifetime credit shelter trusts, trusts for children with disabilities, GRATs, GRUTs, QPRTs, charitable trusts and off-shore trusts. 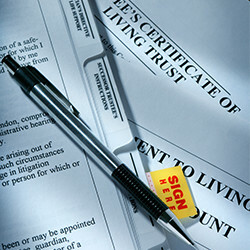 In connection with business planning, CLMC attorneys are highly qualified to counsel individuals concerning payment of their employee benefits, planning for closely held businesses and for business succession (including family limited partnerships, estate freezes, Chapter 14 considerations, SCINs and private annuities). In the area of estate administration, CLMC attorneys have handled all sizes and matters ranging from the smallest estates to estates in excess of $100,000,000, and have recommended, designed, implemented and administered all forms of estate planning devices including credit shelter trusts, marital trusts, charitable remainder and lead trusts, generation skipping trusts, closely held corporations, 302 and 303 redemptions and 6161 and 6166 elections. Many CLMC clients throughout Long Island and the metropolitan New York area have come to view their CLMC attorneys as individuals with whom they can discuss and resolve their familial issues, whether personal or financial, and for assistance in protecting and preserving the assets they have grown through the years. CLMC attorneys handle these issues not only with the greatest of professional expertise, but with the care, compassion and sensitivity necessary to achieve the result most beneficial to, and comfortable for, the client and the client’s family.